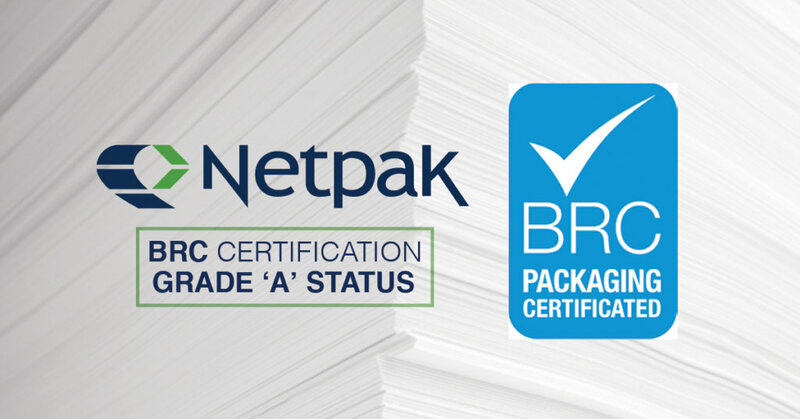 Netpak is proud of our commitment to our customers and being a leading supplier of turnkey, innovative packaging. Being the first North American packaging printer to obtain this highly coveted designation is a testament to our commitment in producing value for our trusted partners. The BRC (British Retail Consortium) is a world-class security program that sets the standard for the entire supply chain in the agri-food industry. BRC was the first standard to be recognized by the Global Food Safety Initiative. As a professional printing and packaging company, obtaining this certification by GFSI validates the highest standards of quality, safety and traceability associated to our production line. Earning this designation requires annual audits to assess our risk management, safety and hygiene systems, and our control of manufacturing processes, as well as upstream and downstream product traceability. The benchmark standards of the audit are among the most demanding in the industry, thereby allowing us to positively contribute to our customer’s value chain. We’ll continue to go through annual audits that evaluate the hygiene and safety systems we have in place as well as review our risk management. Although the BRC initially focused on agri-food packaging, they now encompass the full range of consumer products packaging. Regardless of the industry, every company’s packaging must include health and safety guarantees, and that’s what BRC standards offer; with strict quality control criteria and precise identification of all materials used. In fact, our pharmaceutical customers are particularly mindful of traceability and safety criteria. Our BRC certification gives our packaging international recognition as meeting the global standards for safety and quality. What does this mean to you? You can be assured that our packaging products improve your brand name and that your products then comply with food safety rules and traceability regulations. At all levels of the manufacturing and supply of food products, you need to be certain that your consumers are protected and that your brand and product are held in legal obligation to the Global Standard for Food Safety. Our BRC certification helps you do that. We can say with confidence that our packaging will let you provide your customers with packaging that meets food safety standards when doing business with leading food distributors and manufacturers around the world. How does this benefit you both from a business-to-business and business to consumer perspective? We’ve gone that extra mile in making an effort to bring our own operational standards and safety quality to BRC certification standards so that we can help you attract new customers both nationally and globally. Food safety is important to you and your customers. We’re proud to be part of the process not only in providing you with BRC certified products, but also in helping you build confidence with your current and potential customers. Do not hesitate to contact us (sales@netpak.com) in order to discuss potential collaboration opportunities, and solutions that we can bring to you.